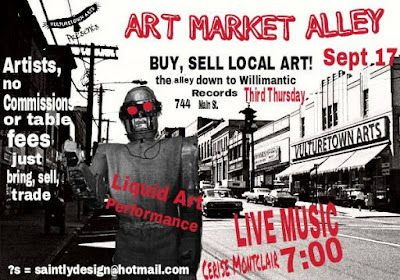 Don't miss the final Third Thursday Street Festival of 2015. 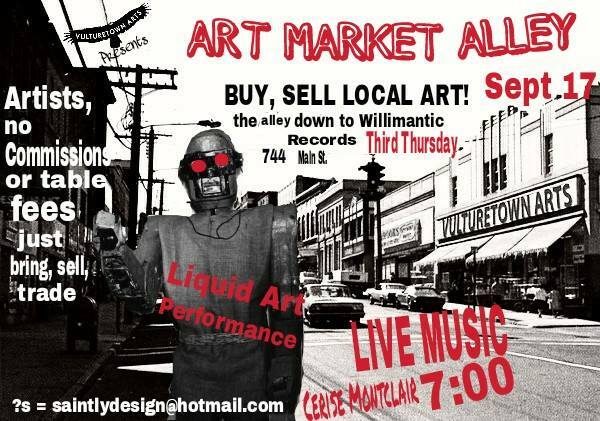 Vulturetown Arts will have an art market right next door to Willimantic Records with live music by Cerise Montclair. Don't forget to save your receipt.